Il y a des fleurs partout pour qui veut bien les voir | One quality, the finest. 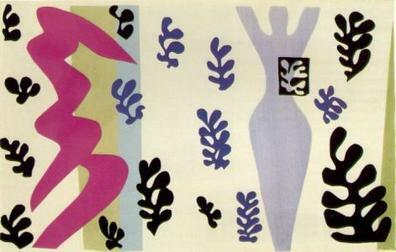 French artist Henri-Émile-Benoît Matisse was born on December 31, 1869. He was educated as a lawyer but turned to art when his mother bought him painting supplies during a period of convalescence from appendicitis. Matisse left law to study art at the Académie Julian, today the École Supérieure de design, d’art graphique et d’architecture intérieure. He started off in a very traditional vein with still lifes and landscapes, learning by copying the masters – especially Chardin – at the Louvre. Later, a friend introduced him to Impressionism and the works of Van Gogh. 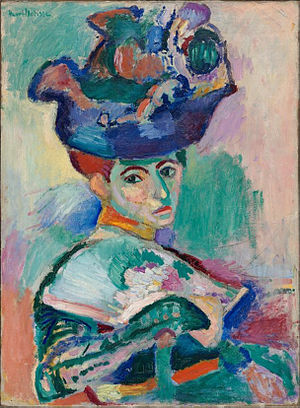 Along with friend André Derain, Matisse is most often identified with Fauvism, a style characterized by its use of bold, unconventional color, which is appropriate since “fauve” means “wild.” When Gertrude and Leo Stein bought Woman with a Hat, it was an important endorsement of a style that was panned by the critics. One of his paintings, Nu Bleu, was even burned in effigy in Chicago in 1913. The Clarabel and Etta Cone collection of hundreds of Matisse paintings is now on display at the Baltimore Museum of Art. Friends and admirers organized the Académie Matisse, where their idol gave lessons. As his health declined, he turned to making paper collages that retain the spontaneity and joyful color of his paintings. Jazz is his 1947 book that collected prints of 100 of these collages. He died of a heart attack on November 3, 1954, a few weeks short of his 85th birthday. Today’s phrase, “Il y a des fleurs partout pour qui veut bien les voir,” (eel e ah day flur partoo poor key vuh beN lay vwar) is a Matisse quotation. It means “there are flowers everywhere for [one] who really wants to see them.” That’s a great image to keep in mind, since, as I write this, there’s snow on the ground. I just need to look a little harder for spring flowers. This entry was posted in Art, People and tagged André Derain, Clarabel and Etta Cone, Fauvism, Gertrude Stein, Henri Matisse, Henri-Émile-Benoît Matisse, Il y a des fleurs partout pour qui veut bien les voir. Bookmark the permalink. Pingback: L’art a pour mission d’égaliser le temps | One quality, the finest. Pingback: Rive Gauche | One quality, the finest. Pingback: Tu veux que je fasse un dessin ? | One quality, the finest. I like it better your way, but all my research sources leave out the “celui”. Can you tell me where you found it with “celui”? Pingback: Une Tache aveugle | One quality, the finest. Pingback: Vernissage | One quality, the finest. Pingback: Le brouillard | One quality, the finest. Pingback: Les temps enchantés | One quality, the finest. Pingback: Le palmarès | One quality, the finest. Pingback: Sans jury ni récompense | One quality, the finest.